GetSocial's new Smart Invites system has got off to a good start. It allows developer to drive organic growth using word-of-mouth from existing players and has been adopted by Rovio and Wargaming's WG Cells. Smart Invites can be sent to any friend or contact via popular messaging apps including Whatsapp, Kik, Line, Twitter and Facebook. This activity can be then tracked so developers can further optimise their marketing. 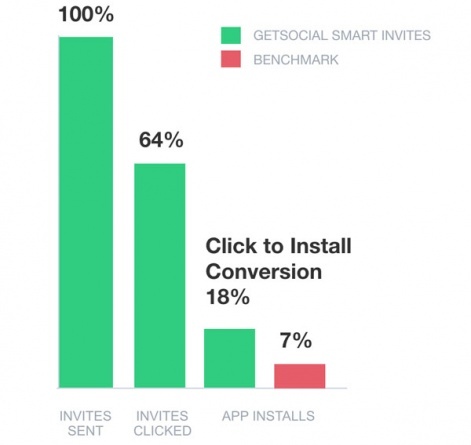 GetSocial reckons that Smart Invites have an average click to install rate of 18%, compared to an industry benchmark of 7%. "The integration in Nibblers works like a charm for us," commented Rovio's Matt Wilson. "It is blended beautifully into our game. 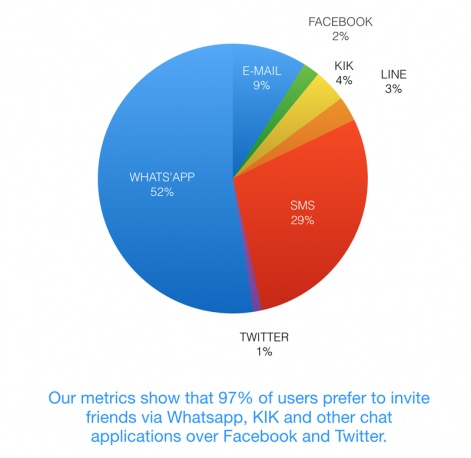 Friend invitations plus value per user is growing more than ever before, giving us much higher yields. It's the perfect tool for organic installs." WG Cells' marketing director Mike Schmid concurred. "GetSocial is narrowcasting at scale. Your players know best which of their friends want to play your game… so put them to work." You can find out more about what GetSocial is up to via its website.